Pictured above is iR-II's kindergartners showing off the classes new iPad. iPads, iPhones, iBooks, iTunes U, and now Franklin County “iR-II” School. Last week R-II distributed iPads to their teaching staff for them to begin implementing the use of iPads in their classrooms. St. Clair, Mo. - Yesterday evening, around 9:30 p.m., a Franklin County Deputy was working tracking enforcement on Highway 30 in the area of the Meramec River. The deputy noticed a passing vehicle that had invalid license plates. Last night at 9:45 p.m. I received news that a great friend of mine had passed away, Murry Wright. Pictured is Murry Wright at this past Veterans Day celebration at New Haven Elementary School. Murray Wright, 88, of New Haven, Mo. passed away on Sun., Jan. 29, 2012 at Mercy Hospital, Washington, Mo. Austin Madden (pictured on right) comes off a screen, knocking down a jumper and two of his career high 12 points. The Missouri General Assembly is moving with unaccustomed speed through this year’s legislative agenda. 3:43 - Great News! Male subject has been located. Subject had no injuries and is perfectly fine. Thank you to all those who called and offered their assistance. Since the initial report came in, we have been stationed with New Haven officers and communicating back and fourth to provide the most up to the second information. 2:55 P.M. - Male subject's first name is Harvey. Again, subject suffers from Alzheimers. Anyone wanting to help please call 636 359 1018. Pictured above: Coach Tim Strobel signs an autograph. Sun., Jan 29, 2012 was the day New Haven’s Basketball Program and the sea of green was enshrined into the Missouri Sports Hall of Fame. From the Missouri Sports Hall of Fame Induction Ceremony, Coach Ray Steinhoff's acceptance speech. 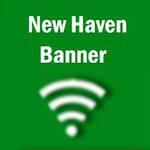 Sunday will be a historical day; not just for New Haven’s Basketball program, but also for the entire New Haven community. The Shamrocks will be only the second high school program to be inducted into the Missouri Sports Hall of Fame. New Haven won the third place game at The Hermann Tournament tonight, defeating Chamois in overtime 33-30. This past Thursday, New Haven’s sixth grade class took a trip snow skiing. No, they did not fly out to Colorado, instead they enjoyed a daylong field trip at Hidden Valley Ski Resort.